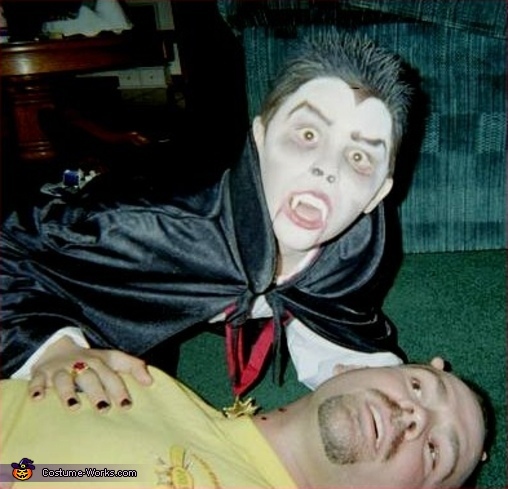 Check out Garrett as a Vampire. I love the thought behind ther photos here. This homemade costume for men entered our 2008 Halloween Costume Contest, and won 5th place!